All the lush green grass sprouting in the spring sunshine has a down side: sooner or later it has to be cut. So this was the week that I got out my lawn mower, begged and pleaded until it started and then pushed it around for an hour and half, after which I needed a shower and beer. This was also the week that, once again, I wished for a Robomow to cut my lawn. The Robomow people sent a press release this week noting that Europeans have been using robotic mowers for decades. Robomow itself is 20 years old, but people in the U.S. are just starting to see that a robot yard tender is a great idea. Like a robotic vacuum cleaner, the Robomow stays in its charging base until it's time to work. It's owner sets the mowing schedule and can also operate the mower from a smartphone app. It can even be programmed to operate at night, which isn't a bad idea because the Robomow is way quieter than any gas-powered implement. 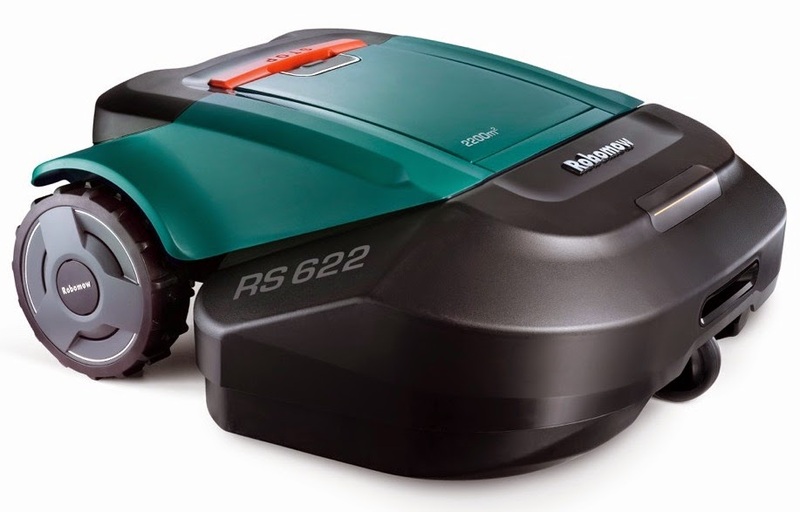 Robomow has also added new features to its mower line. New mowers transmit data to Robomow so the company can monitor its health and performance. Another new feature is In Motion Turn, which allows the mower to plan for its next turn rather than reaching its perimeter and backing up. More details on Robomow prices and features are available at the Robomow website.